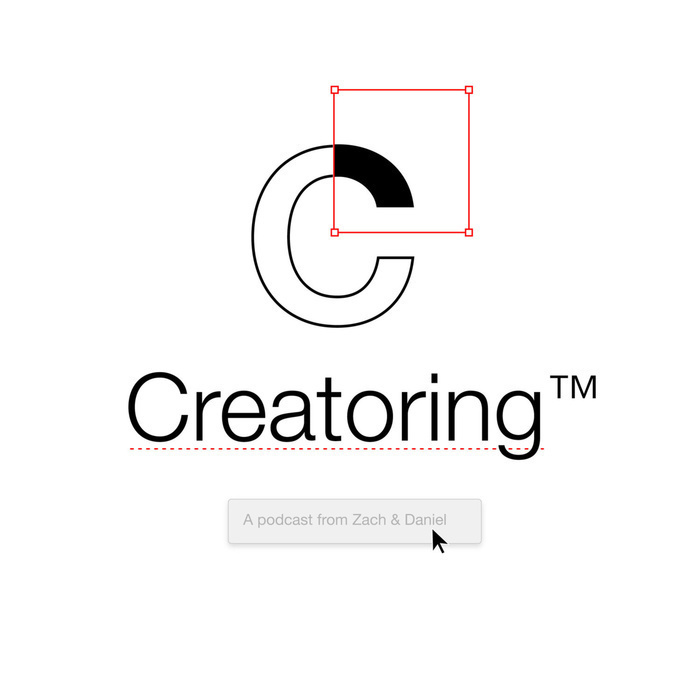 In episode 18 of Creatoring, I am joined by Dalton Stark. We got to hang out last May and talked about being confused with handsome baseball men, not fitting in, friends who believe in conspiracy theories, and how the universe is indifferent. 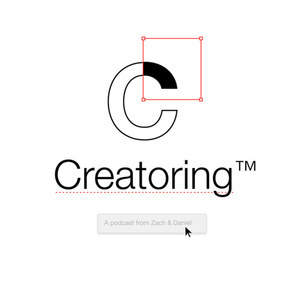 Welcome to episode 17 of Creatoring, our second live episode at Creative South 2018! 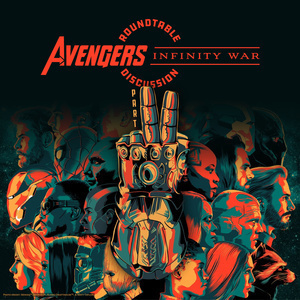 I am joined by Brian Manley and Suzanne Sarver, and we discuss heavy metal, the death of the scene, tornado sirens, and jerks. I kinda of didn't remember to maybe start actually recording until about halfway through the time we had in the studio, but trust me, we're all better off because of it. This is the "good" stuff. Enjoy! In episode 15 of Creatoring, I am joined live by Andrew, Luke, and Patrick of the Master of One podcast at Creative South 2018. We got to hang out in the back of a noisy vendor hall and talk about good bad movies, bad movies, Sam Rami, and Tim "The Toolman" Taylor. In episode 13 of Creatoring, I hang out with Liz Mac, a wonderful illustrator, nerd, Canadian, designer, and painter. This episode marks a new era for Creatoring, one where we focus less on making bad jokes about garbage from Twitter or Dribbble and focus on what makes each of us as creators a little bit weird. I hope y'all like the change. Wow. It's been a while. Creatoring is back, not quite at full strength, but back. For now, it's just going to be me (Zach) and some guests. Daniel is stuck in a portal somewhere, er, taking a step back from podcast land for a little bit, but he's always in our hearts and will pop in whenever he wants. 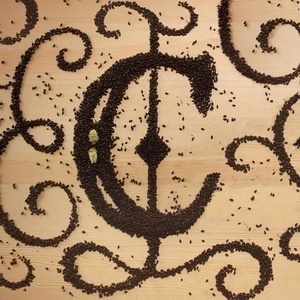 In this new episode of Creatoring, I out with Christopher Michon and we discuss sandwiches, in-house design, pizza, art direction, and food. We might have both been hungry. 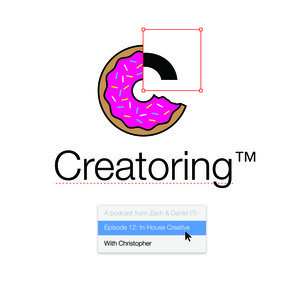 In this episode of Creatoring, we are joined by our good friend Jason Frostholm. Jason is the host of the Creative South Podcast. When he approached us about doing a special crossover, he probably didn't know what he was getting into. We discuss being weird, finding an audience, the meaning of life, and how visual gags don't work in an audio format. Stay tuned at the end of the episode for our first new segment, :30 Metal Review with Brian Manley. In our first episode of Spooptober, we hang out with Nhi and discuss networking in the creative community. We also talk about Halloween, ghosts, spectres, hiding bodies, and Twitter. It gets spooky. In episode nine, Daniel and Zach hang out with Lenny Terenzi. We discuss work/life balance issues, whether it even exists or not, animal sacrifices, priorities, and copying (again). A quick episode with just Zach and Daniel that was lost in the move between servers. We took a brief hiatus to get in a better headspace. Sorry for the terrible audio. Just relax, and we'll all get through it together.